Two bills are moving right now that could unravel Pennsylvania's progress in controlling oil and gas pollution. 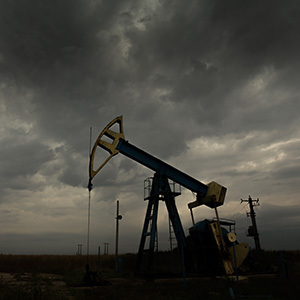 Governor Wolf has been working to protect Pennsylvanians by finalizing pollution controls for oil and gas sources of pollution. Yet two bills — HB 2154 and SB 1088 — could soon be brought before the Pennsylvania state Senate for a vote. And if either passes, it would revive the outdated and out-of-touch rules in the Oil and Gas Act of 1984. Both of these bills would essentially unravel over three decades of hard-earned progress in protecting Pennsylvanians’ health and welfare. HB 2154 recently passed the House. Now, HB 2154 and SB 1088 could be brought to the Senate floor for a vote. Tell your senator to block both of these dangerous attacks on Pennsylvania’s public health and environment. Remind them that Pennsylvanians expect and deserve elected officials who vote to protect the interests of Commonwealth residents over the interests of the fossil fuel industry. Clearly ask your senator to vote NO on both HB 2154 and SB 1088. Know your senator’s voting record on environmental issues, and include it in your message. Highlight how protections against oil and gas pollution affect you, your family, and your immediate community. Make it personal — tell a story about why this issue matters to you.